Pinto beans, onion, garlic, tomatoes, chiles, bell pepper, chese, canola oil. Pack Weight - Single: 113 grams. Double 227 grams. It's a Fiesta for your palate!! Another Southwest influenced meal. 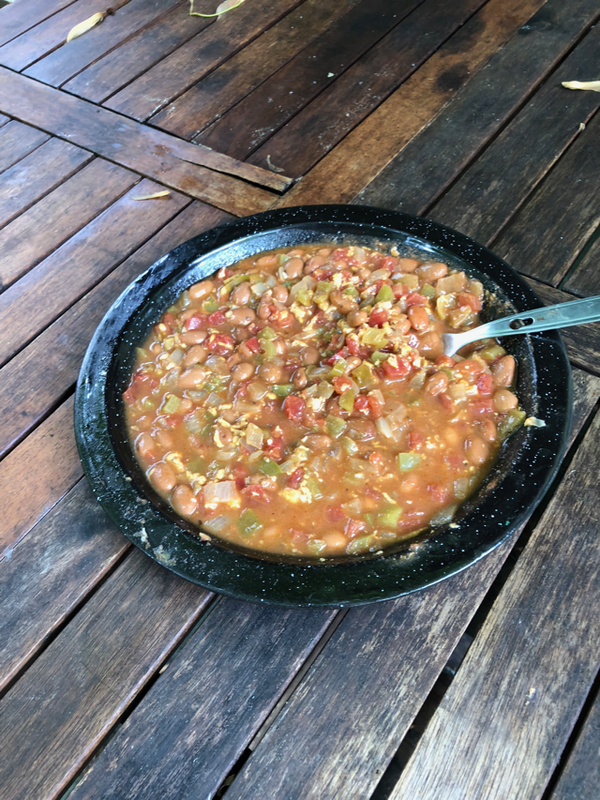 Pinto beans, onion, bell pepper, garlic, green chilies and diced tomatoes processed together with some cumin and chili powder and simmered to goodness. Add the Jack cheese and GUAU!! What a great finish to the day!! GLUTEN FREE to boot.